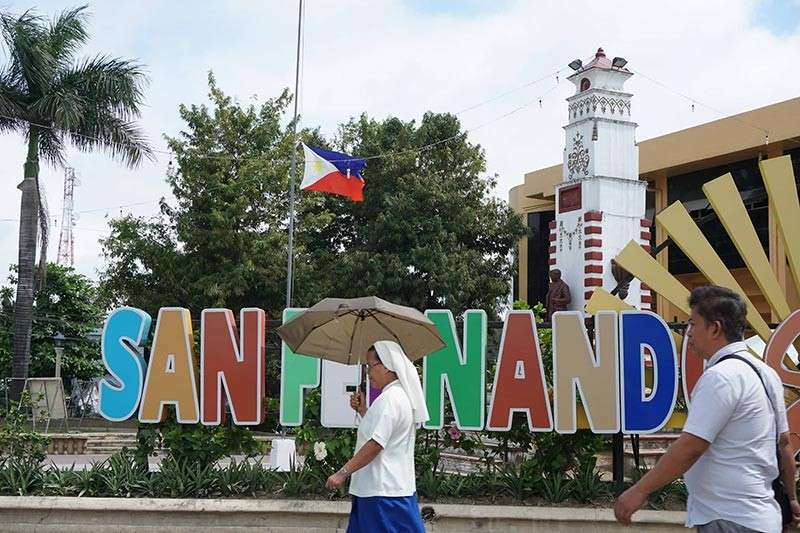 THE Philippine flag outside the town hall of San Fernando, Cebu has been on half staff for three weeks now. 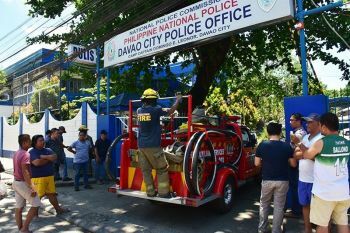 Since the start of the year, the municipal government has mourned the deaths of municipal councilor Reneboy Dacalos and former Association of Barangay Councils (ABC) president Johnny Arriesgado who were slain by unidentified assailants. 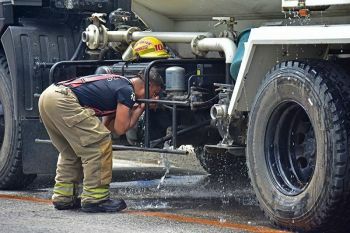 Now, they are set to mourn for another public official, ABC president Ricardo "Nonoy" Reluya Jr.
Reluya was killed along with two others when their van was ambushed by unidentified men in Barangay Linao, Talisay City on Tuesday, January 23. Reluya was killed but his wife, San Fernando Mayor Lakambini "Neneth" Reluya, survived. But as the town mourns Reluya's death and their mayor's current situation, municipal employees are trying to ensure that services in the town remain normal. With Mayor Reluya still at the hospital, the question of who acts as mayor of the town hangs since Vice Mayor, Fralz Sabalones, has not been seen in the town. Edcel Laguda, acting municipal treasurer, said Reluya's eldest son, Municipal Administrator Ricci Regen Reluya, was supposed to act as mayor while his mother is still recuperating but he has to take care of his mother. Laguda said they await word on who will assume as acting mayor. By succession, Sabalones, as vice mayor, should serve as acting mayor while Reluya is indisposed. But Teodosia Tapere, municipal council secretary, said Sabalones has not returned to his duties since July of last year. Sabalones is the brother of drug lord Franz Sabalones. Tapere said she often received Sabalones's leave form every Monday of the week, when the municipal council holds its regular session. Tapere said Sabalones still has available leaves that could last him until May this year. Aside from Sabalones, two municipal councilors who are allied with him have not been appearing in their weekly sessions since the year started. The sudden absence of Councilors Alfonso Donaire IV and Edwin Villaver coincided with the recent killing of fellow councilor Reneboy Dacalos. Donaire, Villaver and Dacalos were suspected to be connected with the Sabalones drug group. With Sabalones still on leave, first councilor Gemma Bacalla is currently the acting presiding chairman of the municipal council. Aside from Bacalla, municipal councilors still active in the town are Philipp Jude Medalla, Erico Enad, Eutiquio Baricuatro, Teodomiro Luzano and Sangguniang Kabataan president Riyadh Christopher Oacan, who serves as ex-officio member. But when reporters sought their comments on Wednesday, no one from the municipal council was present in their offices. Laguda said he and his fellow town workers were shocked upon learning of the ambush. Aside from Ricardo, also killed during the ambush on Tuesday was local investment and promotions officer Ricky Monterona. "The employees at the municipal hall are still confused and saddened. But we continue to do business as usual," Laguda added. Employees of the ABC office in San Fernando cried for their boss, whom they described as "kind and very understanding." One employee said the last time Nonoy talked to her was on Tuesday when he inquired if all of the barangay captains could attend an emergency meeting he called on Wednesday. 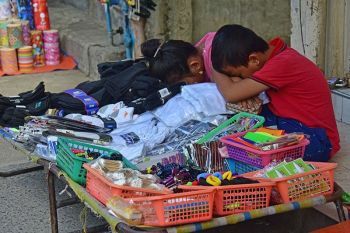 "Wala diay mi kibaw nga siya ra gyud diay ang dili katunga," the employee said. But aside from grief, municipal employees also showed their anger especially against the Reluya couple's political opponents, whom they believed to have orchestrated the ambush.